Do you want to increase sales results? 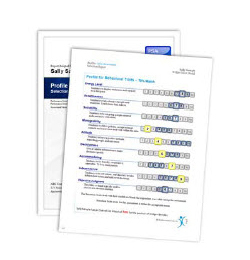 The Profiles sales assessment(PSA) measures how well a person fits specific sales jobs in your organisation. 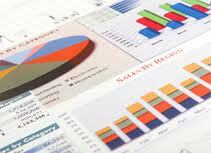 It is used primarily for selecting, on-boarding and managing sales people and account managers. The “job-modeling” feature of the PSA is unique and can be customized by company, sales position, department, manager, geography, or any combination of these factors. This enables you to evaluate an individual relative to the qualities required to perform successfully in a specific sales position within your organisation. It also predicts on- the-job performance in seven critical sales behaviors: prospecting, call reluctance, closing the sale, self starting, teamwork, building and maintaining relationships, and compensation preference. Many sales people are competitive and persuasive. Given the opportunity to land a new job, or to be promoted, they may tell you what you want to hear instead of the truth. Additionally, so much of their success depends on the specific type of sales job and the organisation in which they would work. Success seldom transfers automatically. The cost of failure in a sales job is very high considering the hiring and ramp-up costs, low sales productivity and the disruption of existing clients. The PSA gives you an objective inside look at the behaviors and motives of your sales people and sales managers which helps you make better decisions. The sales performance indicator is a proven tool to increase sales results. 50% of organisations are dissatisfied with new sales representatives they hire. Prior to assessing candidates, our experts help you develop peak performance models (benchmarks) for your jobs using questions to help to direct you in comparing job candidates. Once established the PSA is delivered to the candidate via the internet – hiring managers or an HR administrator simply forward a link. The assessment does not need to be monitored, so the candidate can take the assessment from any computer with internet access. The system instantly scores the assessment and informs the hiring managers where they can access the results. The hiring manager can use the results as a screening tool or to assist them in the interviewing, selection and on-boarding process. Increase sales results. Purpose : Select and retain high performance salespeople and increase sales results. Time to take: Less than 60 minutes. No administrator or proctoring required. Used for Selection & hiring• Management• Promotion Fit / Succession Planning. Validation studies 1999, 2000, 2001, 2003, 2005, 2006, 2007, 2008, 2010.